Would You Include Your Dog in Your Will? Lauren Bacall Did! “I loved this article, but most of all I really loved watching the videos at the end of this article. Don’t miss them. Glenn Close visits Lauren Bacall at home with Bacall’s Sophie. When Lauren Bacall died last month, she left behind quite a legacy. It went far beyond the iconic scenes she did with Humphrey Bogart in To Have and Have Not, Key Largo, and The Big Sleep. She was a fascinating, charismatic person in her own right, and probably would have made a great name for herself even without Bogart. On screen, stage, and in real life, she had an uncompromising voice. Unlike a lot of Hollywood stars, her politics weren’t built on the flavor of the month; she was proudly liberal from the beginning to the end, even when that label was unfashionable or even dangerous. Among other things, she famously spoke out against the anti-Communist paranoia that spread through Hollywood during the McCarthy Era. In addition to her cultural legacy, Bacall had a substantial amount of money when she died, and last week when her will was read, it showed that she remembered the ones who mattered. Most of the money went to her children, but she also set aside $10,000 for the care of her beloved Papillon, Sophie, according to The Telegraph. Lauren Bacall and Humphrey Bogart at home with one of their Boxers. Already, the press is pointing at the bequeathment with amusement and characterizing Sophie as “pampered.” You can hear the sneer in the headlines, but if you have $26 million to bequeath to the loved ones, it seems reasonable to make sure your dog is also taken care of. Bacall was a lifelong dog-lover. Even from her early career, there’s a famous photograph of her at home with Bogart, their son, and three dogs. 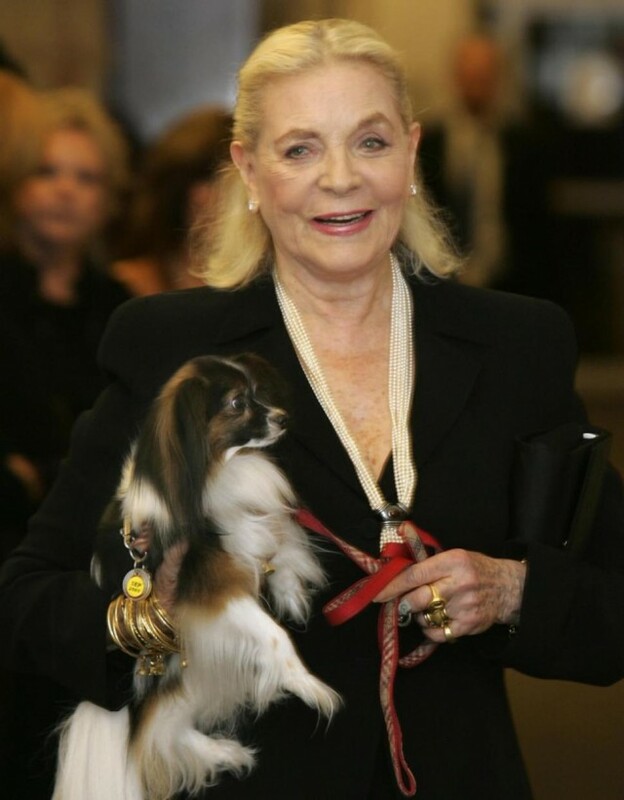 The interior of her apartment at the Dakota was covered with pictures of Sophie and other dogs, and the little Papillon had become a familiar sight to people in the neighborhood and those who worked with Bacall on her final movies. Our best wishes to Sophie, Lauren Bacall‘s human family, and all the people who knew her. never have a dog with a high screech bark. Good job, Jackie.